10 LIVE video Zoom conference sessions, alternating between 2 hours one week and 75 minutes the next week, occurring over 10 consecutive weeks. All calls begin at 11:00 am Central time. 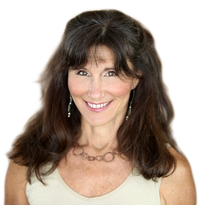 Dr. Ritamarie Loscalzo, MS, DC, CCN, DACBN, has been an integrative practitioner for over 2 decades, combining the best from modern functional medicine with the natural healing wisdom of fresh, raw foods and herbs. The founder of the Institute of Nutritional Endocrinolgy, Dr. Ritamarie specializes in nutritional endocrinology, using the wisdom of nature to help clients restore balance to hormones, with special emphasis on thyroid, adrenal, and insulin imbalances. She integrates biochemistry, nutrition, herbs, and the power of the mind to create a vibrant life filled with passion and purpose. A Chiropractic Doctor -- certified in acupuncture, nutrition and herbal medicine, as well as a certified living foods chef, instructor, coach, speaker, and author -- Dr. Ritamarie offers online courses, long distance coaching and counseling, as well as in-person classes and healing methodology. Her wildly popular Nutritional Endocrinology Practitioner Training (NEPT) certification program empowers health and wellness professionals to unravel the mystery of their client’s complex health challenges and become known as go-to practitioners for true healing and lasting results. Disclosure: Sometimes (but not always), when I share resources in my programs, newsletter, and on my website, I'm using an affiliate link, which means I do make money if you buy. My credibility is extremely important to me; therefore, I only endorse the products, services, and people I believe in. DrRitamarie.com is independently owned and the opinions expressed here are my own. © 2019 Dr. Ritamarie Loscalzo, MS, DC, CCN, DACBN All Rights Reserved. – Strictly necessary cookies: These cookies are essential to enable you to use the website effectively, such as when buying a product and or service, and therefore cannot be turned off. Without these cookies, the services available to you on our website cannot be provided. These cookies do not gather information about you that could be used for marketing or remembering where you have been on the internet.